Browse through the catalog using the viewer below. Click on the bottom-right corner for a full screen view, and use the scroll bar on the right hand side to "flip the page" and read the next page of the catalog. Download the PDF file at the link below to view using iBooks, Adobe Acrobat or whichever PDF viewer you prefer. 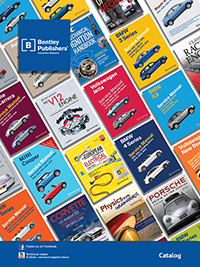 Of course, you'll find a lot more information on our titles on this website, but this online version of our catalog contains listings and brief descriptions of most of our products.